For me, if I had to minimize my answer to one, at least for the season that I am in, I would say it is the fear behind meeting a person who is homeless. In San Diego we have the 4th largest homeless population in all of America. I mean, if you were homeless, why wouldn't you make your way down to a place where it's almost always sunny and 72 degrees? There are 9,160 people who are homeless in San Diego county alone. I want to desensitize myself from the stereotype that all people who are homeless are dangerous and should be ignored. 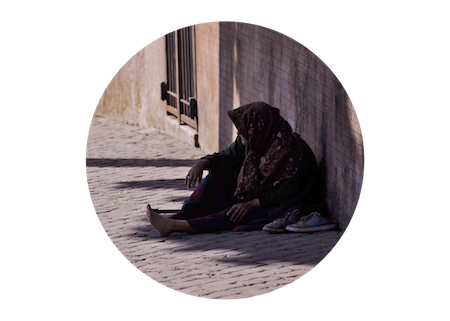 I grew up in a culture that spoke of people who are homeless as homeless people, as if their identity was intrinsically connected to their being in the world. So I identified what breaks my heart, now the challenge for the week is this: Make one small, practical step to make a difference within that area. So, I will have a conversation with someone who is homeless. It might sound simple but this is my small step towards actually doing something.